Well balanced with dense fruit and earth flavours that remain friendly and easy drinking. A fantastic expression of Nero d’Avola. Winery: CVA Canicatti is a cooperative in southeastern Sicily consisting of 480 wine growers cultivating 60 different varietals, with an emphasis on Nero d’Avola. The cooperative was founded in 1969 and today consists of 1000 hectares of vines. Their flagship wine is Diodoros, whose grapes are sourced from a historical vineyard below the Temple of Juno in Agrigento. Winemaking: All of the members practice sustainable and organic viticulture. 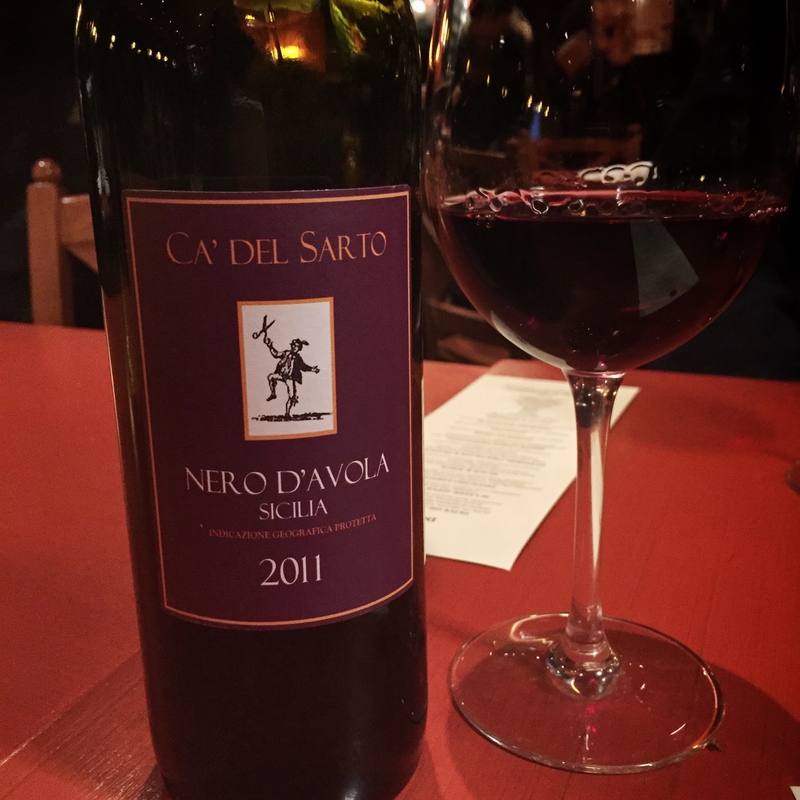 Grapes for Ca’ del Sarto were sourced from vineyards with sandy-silt limestone soil. It was aged for 4 months in medium oak casks. Tasting Notes: Brilliant dark ruby in colour with aromas of cherry and earth. Friendly and easy drinking with a foundation of earth and leather notes that highlight rich black cherry and raisin flavours. Crushed black peppercorn and velvety chocolate comprise the lengthy finish.